I decided to check out my telltale profile that I made sometime to get episode 1 of BTTF for free. So that I can link it with my Steam account. When I go to my Games it says I own all the episodes for BTTF. I don't remember buying any but I have all 5 episodes, I'm not complaining but is this normal? Or have I redeemed a code that I forgot about? My apologies, due to a change in our website layout, all owners of the free Episode 1 of Back To The Future see the Full Game as being owned on our website. We are looking into updating the website to resolve this, and unfortunately this does not reflect the status of your ownership of the game, and you will still need to purchase the full game from our website in order to gain access to Episodes 2-5, as you will need to log into your Telltale profile when starting the game. Odd, it never asked me to sign in when I start the game. It works fine. My apologies, due to a change in our website layout, all owners of the free Episode 1 of Back To The Future see the Full Game as b… moreeing owned on our website. 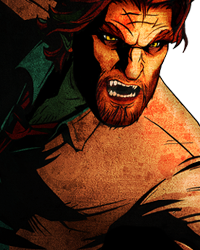 We are looking into updating the website to resolve this, and unfortunately this does not reflect the status of your ownership of the game, and you will still need to purchase the full game from our website in order to gain access to Episodes 2-5, as you will need to log into your Telltale profile when starting the game.